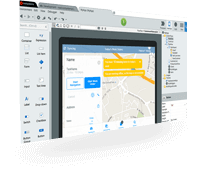 OutSystems is making it easier for mobile app and web developers to code and release their apps. In this live demo, we’ll show how OutSystems enables you to build mobile and web apps that are connected with external systems, using APIs for IoT and AI. You’ll get a comprehensive view of how to use OutSystems—no marketing pitch, just (low-)coding.